Apple smartphone seeing increased adoption in the commercial sector. The business world is seeing a steady uptake in adoption of Apple’s iPhone. According to the Channel Insider, the device currently holds around one per cent of the global business market, but this figure is increasing as more people bring their iPhones in to work and a greater volume of business apps are made available. Apple has reported that the device has been implemented as a business smartphone by Kraft Foods, while Nike and Disney have promised to support the device. Additionally, biotech firm Genentech has said that it will deploy 3,000 iPhones to its employees. 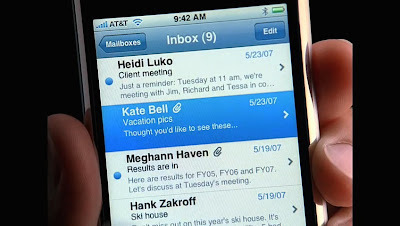 SaaS provider Salesforce.com has also reported 80,000 sales of its customer relations management iPhone app.